Everyone wants to have a good health and a healthy heart is an integral part of a healthy body. Nevertheless, cardiovascular disease affects every 1 in 3 adults in the United States. There are certain unhealthy daily habits that can harm the health of the cardiovascular system, thus it’s worth knowing them and giving them up. Our body requires at least 8 hours of a healthy night’s sleep to get prepared for a new working day. Hormonal problems associated with the lack of sleep can affect the functioning of the cardiovascular system and contribute to the development of heart disease. Researchers believe that if an individual doesn’t get enough sleep regularly, his or her heart doesn’t receive enough rest which results in high levels of resting cortisol and adrenaline similar to those detected in stressful situations. Fortunately, you can learn some tips on how to get better sleep. 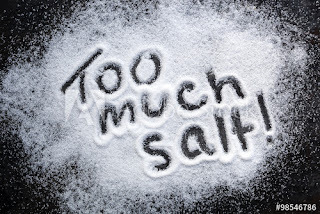 Increased salt consumption causes fluid retention in the body tissues, interferes with the work of the heart and causes high blood pressure which is among the principal risk factors of kidney failure, heart attack, etc. It’s not recommended to have more than 1,500mg of salt per day. However, people tend to forget that salt can be found not only in cooked food but also in its ingredients: cheese, butter and other products. Therefore, taste your food before reaching for a salt shaker, perhaps there is no need in additional salt. Also, pay attention to the labels on the products you buy – canned foods, chips, processed foods, lunch meats, etc. contain huge amounts of hidden salt. Cigarette smoke contains carbon monoxide that, once entering the bloodstream, reacts with the main carrier of oxygen – hemoglobin. Hemoglobin picks up carbon monoxide instead of oxygen by mistake and thus less oxygen is transported all over the body. Decreased oxygen content makes the heart to work harder to supply oxygen to all organs and tissues and that can provoke cardiovascular problems such as chest pain or heart failure and lead to a myocardial infarction or stroke. Nicotine causes the narrowing of blood vessels, disturbs blood circulation and thus damages cardiovascular health. So, if you haven’t considered it yet, quit smoking and make your heart healthier! Find a friend or family member to share your emotions with. 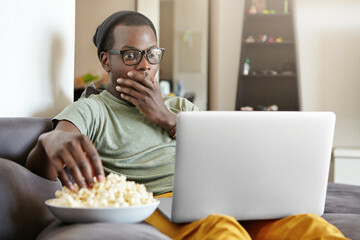 Researchers say that sitting and watching television for many hours without breaks significantly increases the risks for heart attacks and strokes even if you exercise on a regular basis. It’s believed that the lack of movement that lasts for many hours affects metabolism and increases the levels of glucose and fats in the bloodstream. Moreover, sedentary lifestyle promotes the progression of obesity and hypertension, causes high cholesterol levels and thus provokes cardiovascular problems. Some studies show that those who sat in front of television for more than 4 hours per day were 80% more likely to die for reasons associated with cardiovascular problems and coronary artery disease. Therefore, take any chance you have and make short breaks, walk, or, if you’re in the office, stand when talking on the phone. Regular outdoor activities, walking or jogging help to strengthen the heart muscle and make the heart healthier. YOU SHOULD READ: 4 Popular Type of Movies You Watch And How they Affect Your Health. 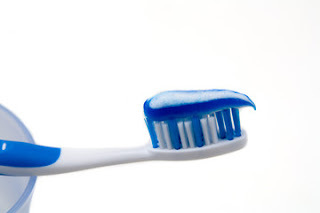 If you don’t floss regularly, a sticky bacterial dental plaque can get accumulated between the teeth and promote the progression of periodontitis, a serious inflammatory gum disease. According to one of the theories these bacteria cause inflammation in the body and that provokes the development of atherosclerosis. Quite often infections penetrate the body through the mucous membranes. Adequate and timely treatment of periodontitis helps to improve the condition of the blood vessels and even prevent heart problems. Snoring can be a sign of a more serious condition called obstructive sleep apnea which is characterized by interrupted breathing during sleep and can result in skyrocketed blood pressure. Sleep apnea is thought to elevate the risk of heart disorders since it prevents restful sleep and is associated with heart failure, arrhythmia, hypertension and stroke. The good news is that you can give up bad habits that harm your heart and thus improve the overall state of your health. So start taking care of yourself and you’ll have a healthy heart. Richard Johnson is a professional writer who specializes in heart health issues and writes articles for www.CardioGod.com Richard is also an ongoing contributing writer to other health-related websites. What Are The 3 Main Differences Between Fitness And Yoga?